1) For each student, figure the total number of hours per week they will be dancing. Refer to chart above to know total amount due per month. 2) Siblings receive a 10% discount. Figure all family members’ tuition separately, then deduct 10% from least expensive students. *FOR HELP FIGURING TUITION, PLEASE CONTACT US! Registration Fee: $35 (Registration fee covers administration costs, insurance, newsletters, etc.). Not required for Andrea Kirk's Art Workshops. To Register: Click the “REGISTER NOW” link, and follow directions. You may also print the registration form (below) and come to the office during office hours. 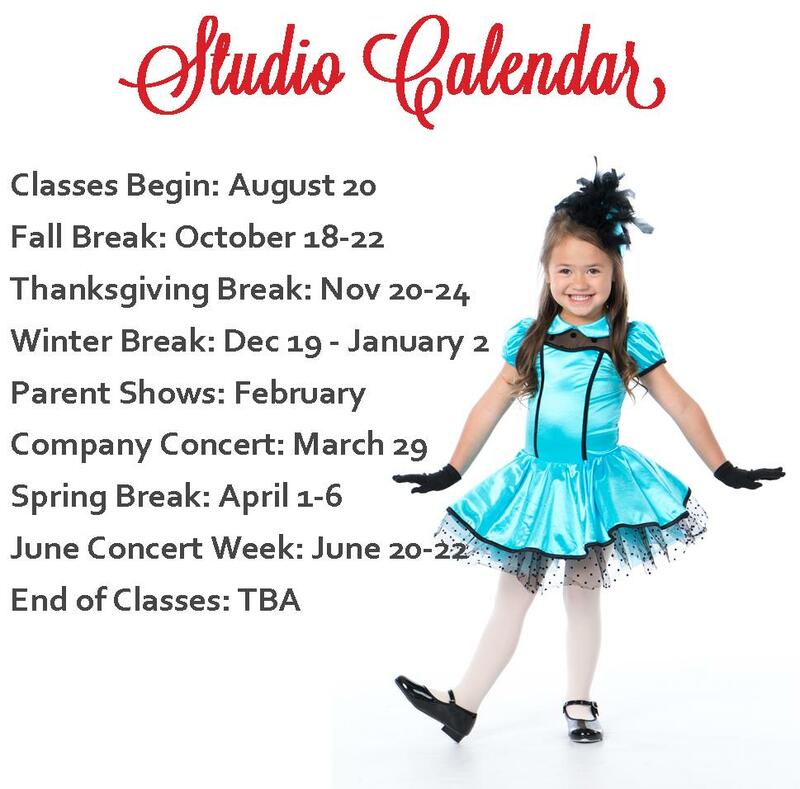 If you would like to be on Studio Autopay, download the file below and bring into our office. This option includes monthly automatic withdrawal directly from your checking account or from your debit or credit card. Returning Students: $35, New Students: $35 (Registration covers administration costs, insurance, newsletters, etc.). Tuition is due before the first class of each month. Tuition is based on a monthly average of 3.8 classes/month, therefore, it is the same if there is two (Dec), three, four, or five classes in the month. Tuition is based on reservation of space, NOT attendance. Therefore, no refunds or credits will be given for absences. A $5 late fee will be charged for tuition received after the 2nd week of the month. Students can withdraw from WBC at anytime, however, a Withdrawal Form must be completed and turned into the office one month prior to the last class. This enables us to place another dancer in that spot. Families receive a 10% discount for additional dancers after the first. No refunds or credits for absences. Tuition is based on reservation of space, NOT attendance. You are paying for the spot in class whether it is used or not. Make-up lessons are offered for absences if prior arrangements have been made. Make-up lessons must be used within one month of absence.